Brush on cheeks, nose, chin and forehead for the ultimate, sun-kissed look. So-Bronze 1 is a classic terra-cotta colour with tiny specks of gold mica to add glow. So-Bronze 2 is slightly darker with the addition of a quarter moon of pressed gold powder. 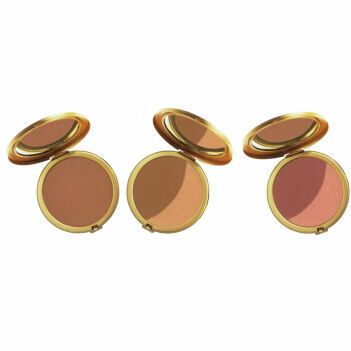 So-Bronze 3 has a peach-undertoned bronzer with a quarter moon of pressed peachy-pink shimmer. 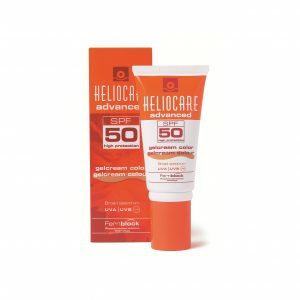 Provides a natural, sun-kissed look. This product comes complete with the Jane Iredale Compact. Jane Iredale So-Bronze®: Brush on cheeks, nose, chin and forehead for the ultimate, sun-kissed look.